As part of an op-ed series, FIU News shares the expertise and diverse perspectives of members of the university community. In this piece, Mahadev Bhat, researcher in FIU’s Sea Level Solutions Center, offers his perspective on the need for collaboration to combat sea level rise. This piece first appeared in The Invading Sea, a collaboration of South Florida Sun Sentinel, Miami Herald, Palm Beach Post and WLRN Public Media. The opinions expressed in the piece are is his own. A carbon tax and emission restrictions could reduce greenhouse gas emissions in the U.S. While the concept has struggled to gain traction in the United States, attitudes are changing. Yale economist William Nordhaus, co-winner of this year’s Nobel Prize in economics, proposed taxing industries on their carbon emissions in the 1970s. Today, more than 30 countries have passed carbon-pricing laws, according to The New York Times. Could the U.S. join their ranks? A survey conducted by the Yale Program on Climate Change Communication revealed 67 percent of Americans support making fossil fuel companies pay a carbon tax. 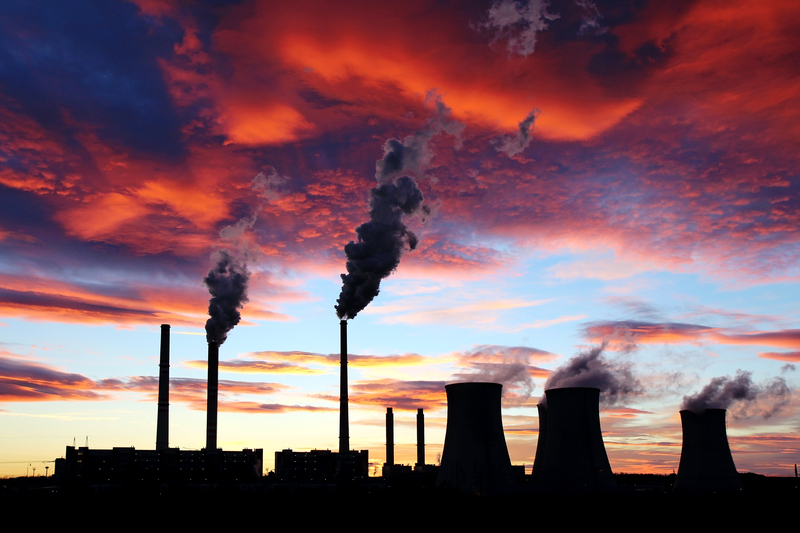 More policy makers and energy company representatives also support a carbon tax to slow down greenhouse gas emissions. In 2009, the Obama Administration tried imposing restrictions on carbon emissions from fossil-based energy industries. Due to legal challenges that went all the way to the U.S. Supreme Court, the proposal never saw the light of day. Since then, some industry advocates have been opening up to the idea of a carbon tax. In 2018 U.S. Representative Carlos Curbelo, co-chair of the House Climate Solutions Caucus, released a bold proposal supporting carbon taxes. However, it faces skepticism in Congress. There is also debate among economists – some think the amount of tax per ton of carbon has to be significantly high before it can make a dent on emissions. Historically, a common approach to lowering pollution has been to ask industries to restrict their annual total emissions to certain legal limits. Private industries have fought such regulations, arguing emission limits are too expensive and could lead to downsizing and losing business to foreign competitors. Unlike a cap-and-trade policy or an emission standard, a carbon tax serves to place “price restrictions” on carbon. Under this measure, fossil-based energy producers, including gasoline and electricity producers, will have to pay a tax for every ton of carbon released into the atmosphere. The question is why private industries might like such a measure. With a carbon tax, industries may not have to cut back their carbon emissions as much as they would under a cap-and-trade or emission restriction program. Energy goods, including gasoline and electricity, are “necessary goods.” Consumers are not going to drastically cut back on their energy consumption because of tax-induced price hikes. This means a large portion of the carbon tax burden will shift to consumers. The people who will suffer the most would be low-income households. As such, the carbon tax may affect energy producers less than quantity restriction measures. The question remains whether the carbon tax can be effective in controlling greenhouse gas emissions while not hurting low-income consumers too badly. The answer depends on how large a carbon tax society is willing to bear and what is done with the money collected. Let us look at Curbelo’s tax proposal starting at $24 per ton of carbon dioxide in 2020 and rising 2 percent above the rate of inflation annually. The proposal has several useful features. It affects fossil fuel imports and not exports; non-emissive uses of taxed fuels will receive tax credits; and 10 percent of the revenue will be used to partly offset the energy cost increases for low-income users. A study by the Columbia Center for Global Energy Policy (CGEP) concluded Curbelo’s proposal would reduce greenhouse gas emissions by 27 to 32 percent by 2025, and 30 to 40 percent by 2030. That would be a significant achievement and put the U.S. well ahead of its national target under the Paris Agreement of 26 to 28 percent reduction by 2025. However, the proposal also abolishes excise taxes on gasoline, diesel and aviation fuels. The net effect would be an increase of fuel prices at the pump of less than 10 cents per gallon, according to the CGEP study. National average electricity prices would increase by 5 to 10 percent. These price increases would not large enough to make sufficient difference in consumers’ consumption. While a carbon tax is a step in the right direction, it may not achieve the greenhouse gas reductions desired unless it is high, requires some quantity restrictions on emissions and doesn’t eliminate excise taxes. But, given that more energy industry representatives are getting behind this idea and that the revenue might be used for transportation and other projects, the carbon tax may become a reality in the near future.